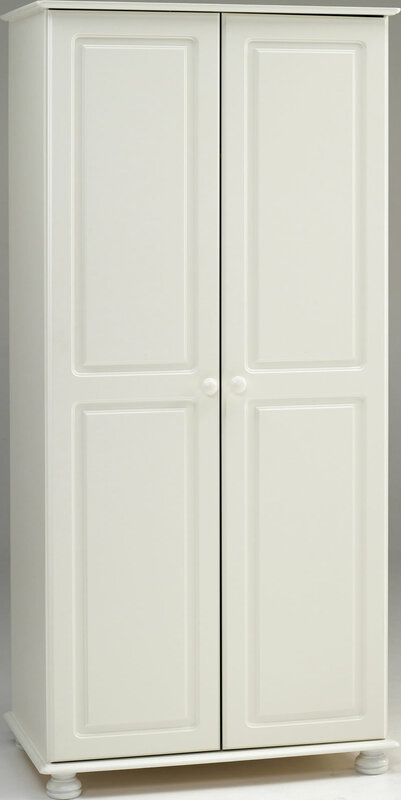 The Steens Richmond white 2 door wardrobe features a large overhead shelf with a full width hanging rail below and traditional solid pine round handles and feet. The wardrobe doors, top and bottom plates are made from 16mm MDF, the sides 12mm MDF and the back panels 2.8mm plywood. 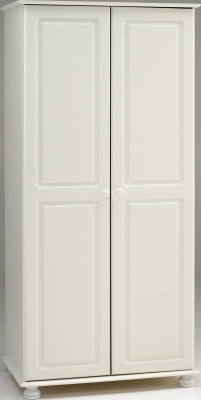 An elegant white 2 door wardrobe which is perfect for longer garments and has the added benefit of overhead storage with additional space in the bottom of the wardrobe.